The Shell Petrochemical Plant, known to many as the “Cracker Plant” continues to be the catalyst for growth, job creation and job training in the region. As the Pittsburgh economy has grown and expanded beyond steel industry, will the cracker plant and the plastics manufacturers that use those byproducts become the next revolution of manufacturing in the region? How will the region continue to position itself to meet the demands of the trades? Workforce development is a key component of that success. Exploration of the trades must be discussed and explored with students as early as middle school. We may begin to see a shift toward the trades when students explore computerized hands-on processes, jobs such as electricians and machinists and the higher salaries that come with those jobs without the debt of a 4-year college education. Colleges and technical training centers are responding to the need as well in the development of certificate programs that enable students to learn the skills needed for these types of manufacturing jobs in a shorter amount of time. What does it take for a manufacturing company to make a decision to relocate to the region? They are looking for pad ready sites and the ability to work with a builder and local government to get up and running as quickly as possible. That’s one of the benefits of working with a design build firm such as CAVCON. Beyond the government permitting process, the time to completion and the ability to adjust projects to a budget allow projects to be completed quickly and efficiently. The building design is only one component of what a manufacturing plant will require. Although designs can be put together quickly, navigating through the permitting process within government and local municipalities can lead to delays. The topic of ease of doing business within the states of Pennsylvania, Ohio and West Virginia was discussed at the Northeast Petrochemical Conference. Those governments and states that make it difficult to do business will lose out on the petrochemical boom in the northeast corridor. Jobs and growth will be left behind as manufacturing leaders make decisions on which state to relocate or build manufacturing plants. We are sitting in the middle of a regional petrochemical powerhouse. The infrastructure projects that will support this growth are already being realized in the construction of housing and other ancillary services. CAVON is currently in the middle of construction of one of the first ancillary projects, Bridgewater Crossing, a 3-building apartment complex featuring over 255,000 square feet located in Beaver County. Business leaders and plastics manufacturers are positioning themselves to capitalize on the North East’s Petrochemical Boom. They are developing, building, investing in, advising, supplying or facilitating new petrochemical projects in the Western Pennsylvania, West Virginia and Ohio regions. Additional ethane cracker plants are in the planning stages along the rivers that span the region. 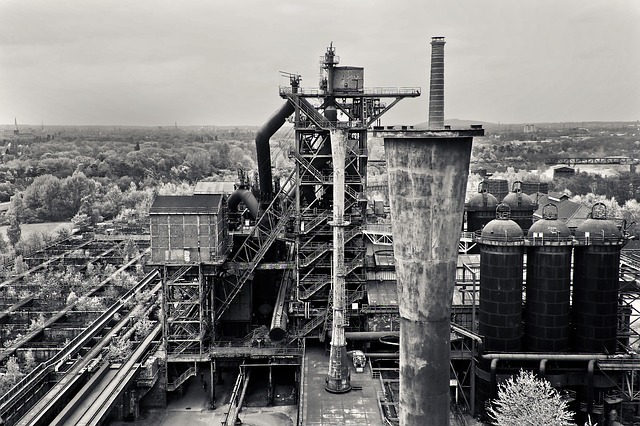 The small mill towns of Homestead, Aliquippa, Braddock, Clairton, Duquesne and Rankin have struggled to survive the loss of the steel industry. Will the ethane cracker projects that emerge take the place of steel – providing jobs, ancillary spending and opportunity for growth giving new life and breath to these areas? Land development, road infrastructure, pad ready sites, workforce training and east of working with local and state government will be key factors in the region’s growth. As the Shell Petrochemical Cracker Plant gets underway, we will see plastics and other ancillary manufacturing plants explore opportunities to relocate. Plastics may very well become the new steel revolution for the region and beyond.